When pressed, we might add secondhand smoke to this list, although that’s usually not why anyone calls an IAQ professional (Instead, they scream in frustration at their in-law or neighbor who smokes). But we forget one of the pollutants that kills the most people: RADON! 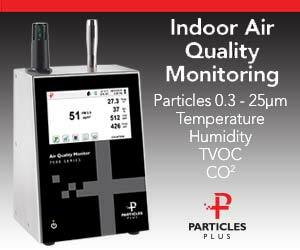 We also forget fine particulates (PM2.5), but that’s a story for a different issue! We can’t see or smell radon, but — it’s radioactive. If it were on TV, it’s be shown as a green, pulsing light, maybe with an alarm sound, so you’d know to be worried. But it’s not on TV, because no one can see it. It’s not much in the public’s mind, either. And yet, for all the public’s worry on mold, radon is much more deadly, killing 20,000 a year in the U.S. alone. It’s 30-40x deadlier than combustion gases, which only kill a few hundred. Lung cancer (of which, radon is the second highest cause) is #3 in cancer mortality, just behind leukemia and lymphoma. Radon was first officially noticed in the U.S. thanks to the nuclear power industry. A guy working at a new plant set off the radiation alarms at his workplace. He clearly had radiation exposure — but it was before the plant had any radioactive materials. They found radon at his house, measured at over 2,000 picoCuries per liter (or pCi/L). For reference, EPA recommends action at any level over 4 pCi/L. He and his family had 500x that exposure! After officials found radon in this home, they tested other places and realized how widespread radon was. Congress passed the Indoor Radon Abatement Act in 1988, which established technical assistance and grants for state programs. EPA also established their Action Level of 4 pCi/L, with recommendations that if it’s over 200 pCi/L, the home should be vacated until it is fixed. Incidentally, 4 pCi/L is 35x more than you can be exposed to at a nuclear plant boundary. To repeat: There is no known safe level of exposure to radon. At 20 pCi/L, the lung cancer lifetime risk is 26% for smokers, 3.6 for non-smokers. Since the risk is cumulative, everyone can reduce their cancer risk by fixing radon problems. Where does radon come from? It’s a natural product formed as uranium breaks down. There’s uranium in many locations, including soil, water from wells (sometimes), and even concrete and granite. We had stories in the media a few years ago about granite countertops as a source for radon, but there’s much more concrete than granite in most homes, hence the possibly greater concern with concrete indoors. Homes with sufficient outdoor air ventilation generally don’t have a problem with radon, however. In our homes, as we know, hot air rises, which puts our floor slabs at a lower pressure. This tends to draw air in through cracks in the slab. Sealing the slab is not enough to prevent radon entry; instead, contractors install a radon removal system. This is usually a pipe that goes below the slab and through the roof, or up the exterior of the house. Most systems also include a fan in the attic (or on the exterior) to actively draw the air up the pipe (sub-slab depressurization). How do we know the risk? Well, it’s radioactive, so cancer is likely. Radon has also caused cancer in animal studies. More importantly, a set of studies used data from uranium miners, who were exposed while mining. The evidence (contained in the Biological Effects of ionizing Radiation (BEIR) studies), is unmistakable: radon causes cancer in humans. The greater the dose, the more cases of cancer. EPA estimates that around 15% of homes have radon levels above 4 pCi/L. Unfortunately, thousands of new homes are built every year without any design for radon removal, even though it is much cheaper to install when under construction. Why not test the soil before building? Because no one has done so successfully. Soil tests, while seeming logical, have failed to predict which homes will contain radon, in part, because we can’t predict a structure’s pressure differences very well until it’s built. It is easier and cheaper to build a home to be radon-resistant, with the exhaust pipe installed when it’s built, than it is to defer to putting a radon system in later. Every January, EPA celebrates Radon Action Month with messages encouraging everyone to test their home. 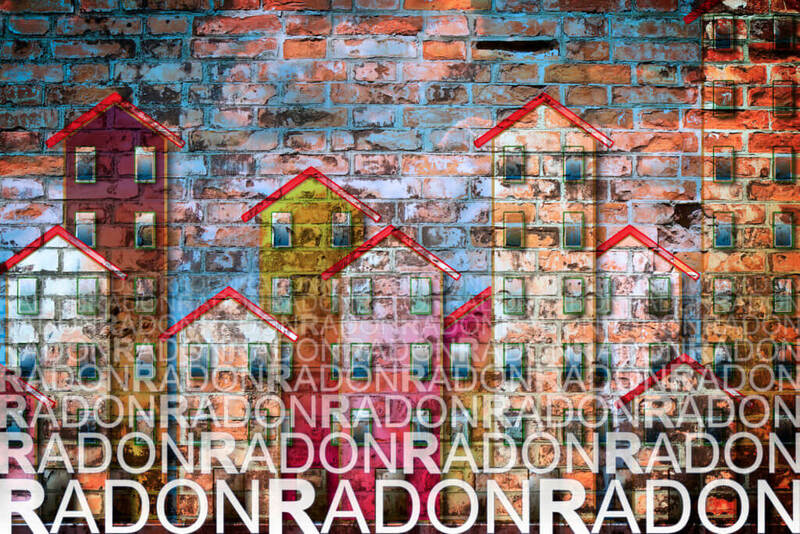 You cannot know if radon is present unless you test, and it’s been found in every state, and even in high-rise condo buildings! In some cases, it’s coming from the concrete, and many buildings have no outside air ventilation to remove it. So, please test your home (if you’ve not done so within the past few years) and fix it if you find high radon. Henry Slack retired from EPA Region 4 in Atlanta after 27 years in the IAQ program, helping people and agencies in the southeast understand IAQ issues. He has spoken numerous times for IAQA chapters and for the IAQA National Convention. A mechanical engineer, he has been an ASHRAE Distinguished Lecturer since 2014.